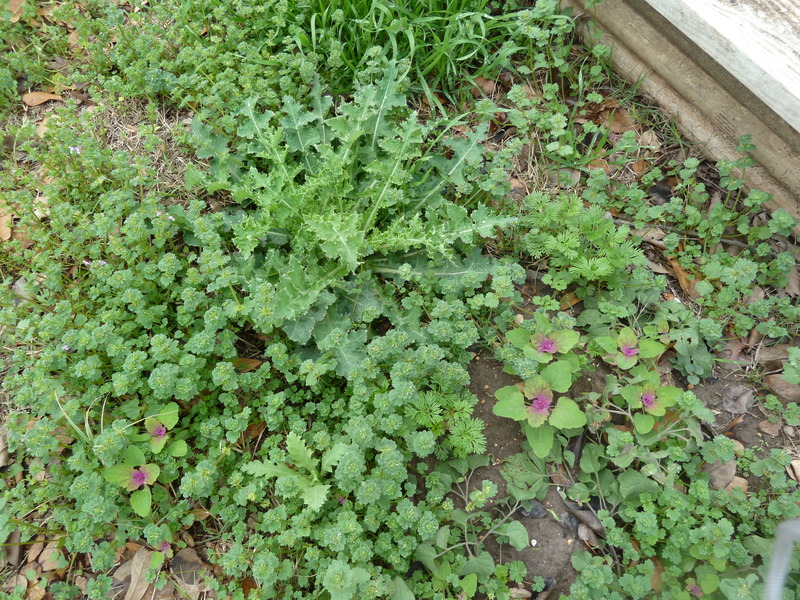 I have invited and openly welcomed quite a few weeds into our yard over the past 5 years. A few of my friends shake their heads and can’t quite figure out why I would get so excited about weeds. 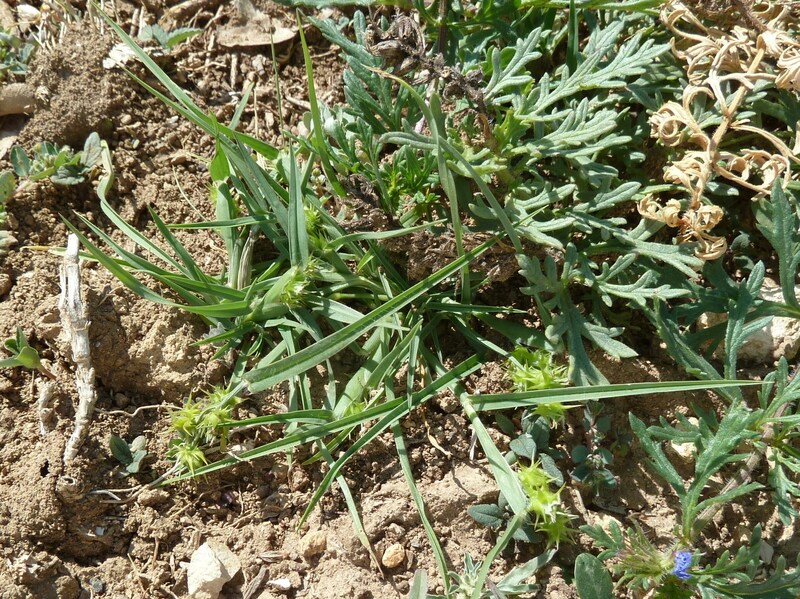 You know, things like dandelions (taraxacum officinale) and lambsquarter (chenopodium album), or plantain (Plantago major) and purslane (Portulaca oleracea), and those are just a few of the edible and useable weeds I get excited about growing on purpose. 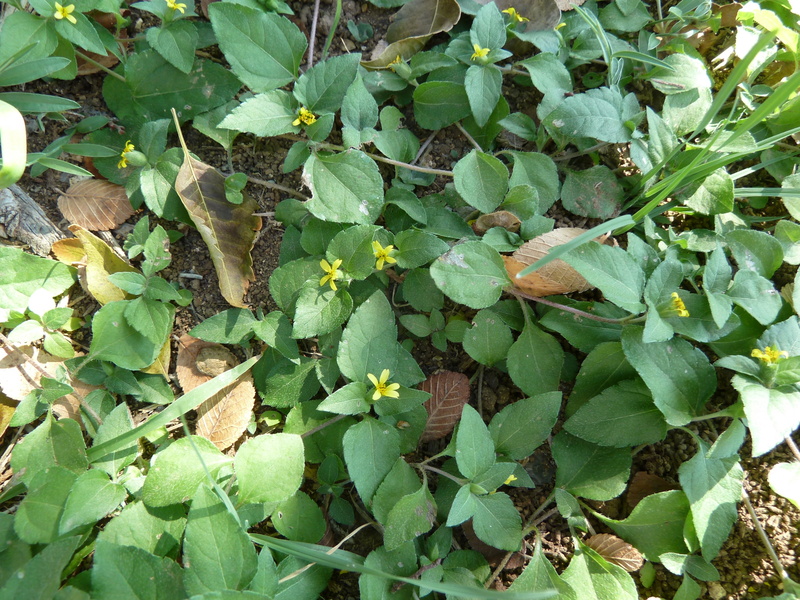 Then there is straggler daisy (calyptocarpus vialis). I did a post on it over on my personal blog this past week. There are a lot of mixed reviews on it in my area. Some LOVE it, others absolutely HATE it. That is one weed I wasn’t sure about when we moved here, but then again, it was spreading all through every garden and choking out other things. Once I got it out of the garden areas and started planting the herbs and natives I wanted I was much happier. It took a lot of work to get it out of the places I didn’t want it, but I do like it in my yard. 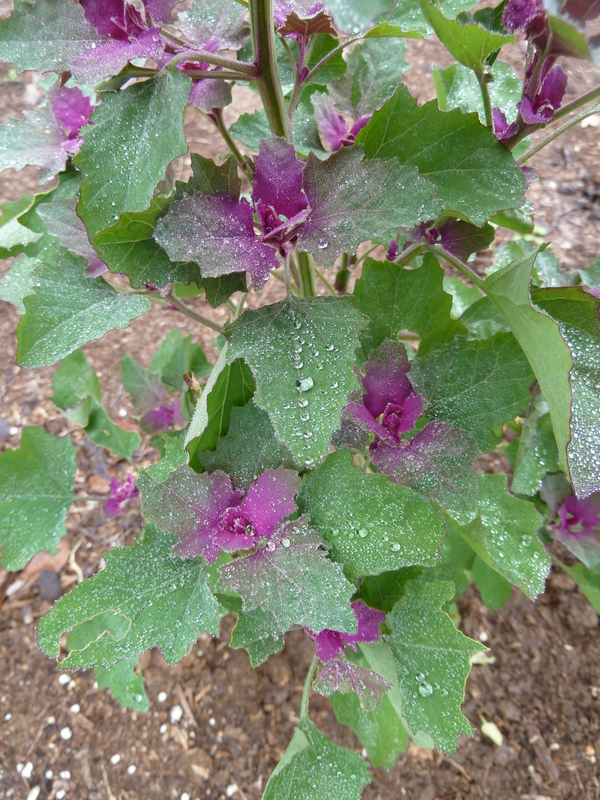 It is a great ground cover. One weed we struggle with is the Coastal Sandspur (Cenchrus spinifex Cav.) That is one weed I could do without completely. Some of the other “weeds” that make up our yard I have spent some time identifying… others, I have not taken the time to figure out yet. It is always interesting to see what pops up each year. It is amazing how much it can vary. One year we may have a particularly pesky weed and some very pretty flowering ones and the year after there are new things out there. Some years I have to pick my battles with things I really don’t want out there. I haven’t come up with a great way to get rid of the coastal sandspurs, other than hand digging them. Where do you draw the line? What weeds do you embrace? It’s filbert season here in the Willamette valley, and i am just pleased as punch about it! What’s a filbert, you say? Otherwise known as hazelnuts (ah, that’s a name you recognize), filberts are small nuts hidden inside fuzzy/stabby packages that are pretty much delicious anyway you crack ’em. I was sad to leave the wonderland of pecans back in Texas, but can console myself with handfuls of hazelnuts and wheelbarrows full of walnuts. I picked up a 5 pound back of filberts from a local farm this Wednesday at the farmer’s market. They used a nifty contraption to crack them in bulk, which mostly worked. I sorted a little over half of them to get 2 cups of shelled nuts for a batch of delicious spiced nuts (seriously: click over because you NEED that recipe) and put the rest in the fridge. I think i’ll try a batch of apple/nut bread this weekend. A friend of ours is hosting an apple pressing party this weekend, so we’ll come home with a bushel of apples for eating/drying/baking, i still have a package of local cranberries from last year in the freezer and a blogger posted this tasty looking Autumn Harvest bread recipe at this week’s Eat, Make, Grow blog hop that i’m hankering to try. It’s fate, i tell ya! I’ll be sure and post the recipe i come up with soon. Do nuts grow locally in your neck of the woods? What do you like to do with them? Have you ever grown anything specifically with wild birds in mind? Many people plant things like thistle, cone flower, rose and various berries specifically to invite their feathered friends to grab a snack as they’re passing through. Even if you’re not a bird watcher (or “birder”) it is definitely nice to have the flit of movement across your vision in the dead cold of winter. We are often seasonally visited by juncos, ceder waxwings and Boreal chickadees, and the cardinals, gold finches and blue jays rarely leave for the winter. Millet. It’s a humble grain, often forgotten, and it has to be one of the easiest things I’ve ever grown. In fact, prior to this year I had been pulling it out of the flower beds in a futile and tangled war between myself and those-things-I-used-to-call-weeds. This year I decided that as long as it wasn’t killing anything else with it’s unruly sprawl, I would leave the volunteer army of millet in various places in the garden. It isn’t a small plant, mind you. The one I have out front is more than six feet tall and sprawls roughly four feet in diameter, but it is a beautiful plant to see nodding it’s heavy, sleepy seed heads in the late summer breeze. This morning I began cutting the largest of the seed heads and drying them. For now I’ll be drying them in our kitchen, but as the season progresses I’ll be moving the millet and sunflowers to the barn to hang where they will season until the birds need them most: the dead of winter. Mil let is not a particularly palatable grain for birds, but it does provide protein and vital energy for them in the cold shivery months. The way I have always fed it is mixed with a bit of sunflower seed to encourage them to try it. Once they realize that it’s a source of food, despite not being terribly tasty, they are on the feeders regularly as soon as the wild sources of food run out. The one thing I try to do above all else is keep the feeders full during the winter. The birds that come to your feeders are there specifically because there is a food source. If the food source stops, they move on, but they don’t always make it to the next food source, especially in some of the nasty Michigan weather we get up here. I’m sure I’ll be buying birdseed from the store this winter (many stores sell it in bulk and you can bring your own containers!) but I’ll also be supplementing with what I’ve grown. If you have the space for it, give it a shot. 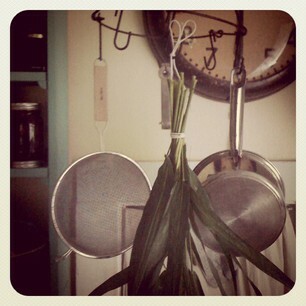 This year my millet required absolutely no extra effort at all, except to cut it and hang it to dry. Planting it was simple – in most cases the birds took care of that for me. If I really wanted to plant a patch, I’d just scratch up the dirt a bit and sprinkle it with millet seeds. It’s a pretty intense little booger, so once you grow it plan to have it around for years to come. Next year I plan to try a few other bird seeds as well as some millet for our own personal use. I did plant some sorghum this spring, but its long season requirements might mean it doesn’t finish developing before it conks out for the year. Ah well. The point is, while you’re putting up food for yourself this fall, considering putting some up for the feathered folk as well! 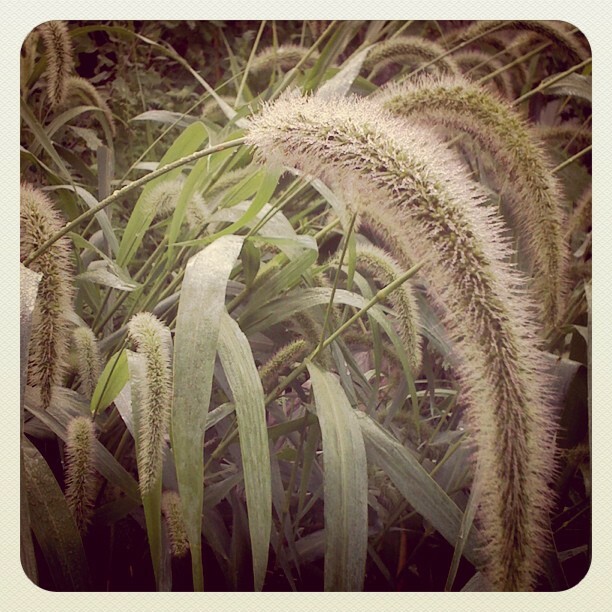 Have you ever grown your own wild bird seed? Which varieties have you grown? I’m really enjoying reading through this book right now. Every year I try to learn a little more about wild edible food that I can forage for, they’re delicious and super healthy, and not to mention free. We hunt for morels every spring and enjoy those thoroughly. I’d love to learn about more edible mushrooms in my area, from what I’ve been reading there are a few varieties I should be able to find. I’m looking for someone local that can teach me, as mushroom hunting from photos in a book can be difficult. I also harvest wild plants like plantain for salves along with dandelions, garlic mustard and wild violets for salads. We have a plentiful supply of wild blackberries and black raspberries close by that we freeze and enjoy all winter long. Winter time is when I focus on learning about more wild foods that I can find in the woods around our home. I haven’t decided what new wild foods I’m going to be searching for this year, any suggestions? Do you eat any wild foods? Where do you learn about them? 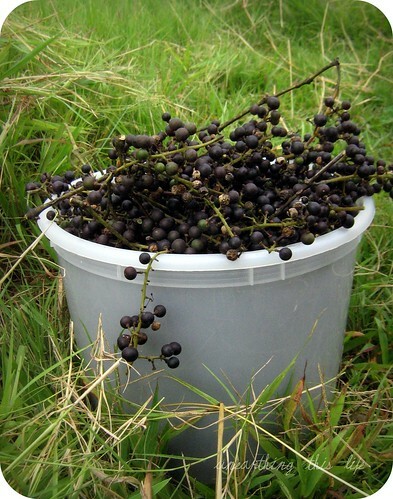 And just like that Elderberry season is gone! 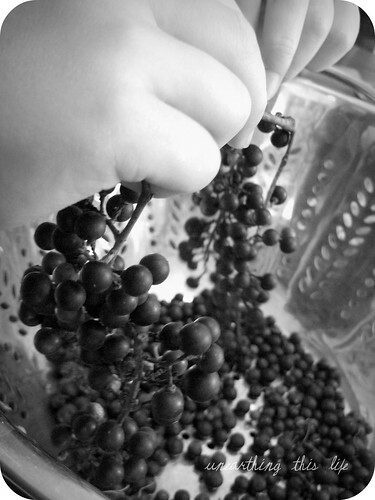 It’s time to move onward in our winemaking extravaganza, for it’s now the season for Possum Grapes. These tiny, buckshot-sized, purple grapes are mostly seed. 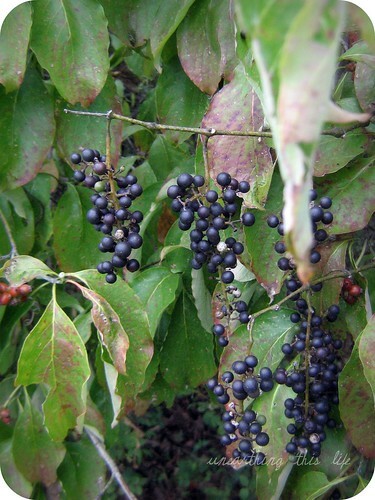 They grow wild and can engulf entire trees in a season. Most people will cut them back before they have the chance to produce fruit, but if you’re like me you can’t resist any chance to harvest something wild (or free!). Many people confuse Muscadines (larger and bronze when ripe) with Possum grapes (small and purple when ripe), but one you identify one, the difference will be obvious. If you’ve read any of my other winemaking posts, feel free to scroll down to the actual recipe. 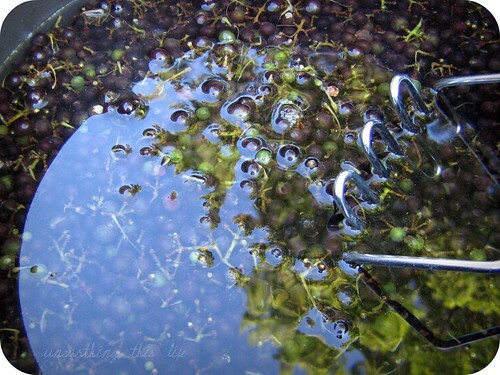 If you’re new to winemaking be sure to read over some of these helpful hints and explanations before moving forward. I altered this recipe based on my purposes, though it’s roughly based on one I found at Wildfoods.info. I highly recommend that you read that entire article before proceeding here. I honestly could not give anywhere near the amount of fabulous information that is offered. 1 gallon wild grapes with vine will make about 1 bottle of wine. Multiply recipe as needed. Wash grapes. Wrap fruit in cheesecloth or muslin and squeeze as much juice as possible. Alternately you could crush them in a china cap with a dowel, but avoid crushing the seeds. Strain fruit overnight. Add one campden tablet before completing this portion. The next day, add sugar and yeast and mix well. Cap holding container (glass bottle, carboy, watercube) with airlock. *We are very prone to mold and mildews thanks to our humidity. If you have a drier season and desire a more natural wine, you can omit the campden tablet and yeast altogether. Prior to airlocking your wine, allow it to capture a wild yeast. You’ll know you’ve captured one when you see your wine bubbling and have no signs of bacteria. When it begins to bubble you can close your container with your airlock. When the wine stops bubbling you can siphon off the liquid from any sediment with your tubing. Siphon the wine into your sterile bottles and cork. Allow to rest about 6 months before consuming. Wash grapes. Pour 1 quart boiling water over fruit. Wrap fruit in cheesecloth or muslin and squeeze as much juice as possible. Alternately you could crush them in a china cap with a dowel, but avoid crushing the seeds. Strain fruit overnight. 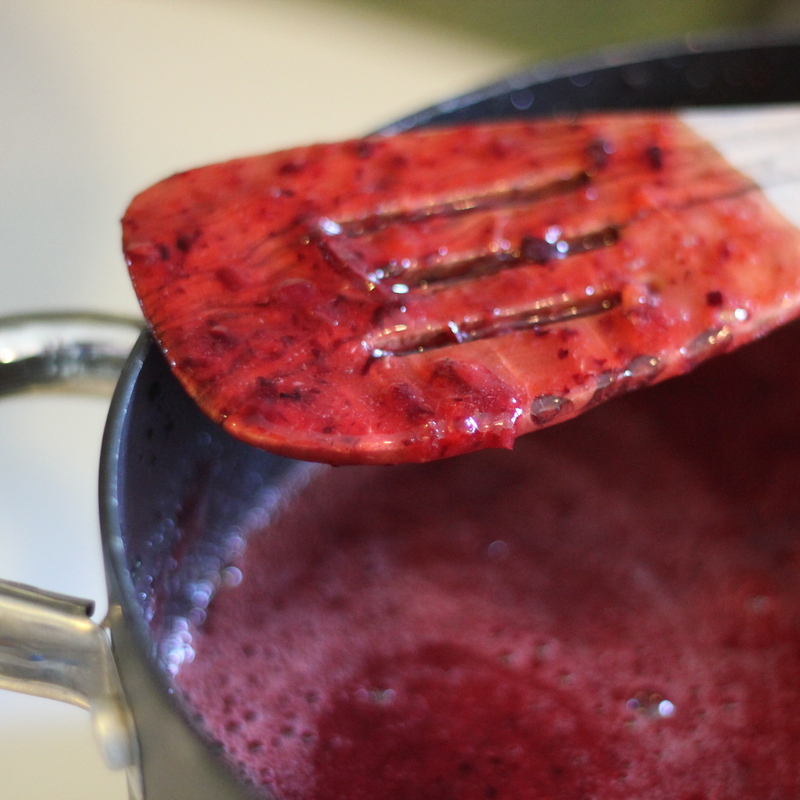 Take four cups of grape juice and mix with remaining ingredients. 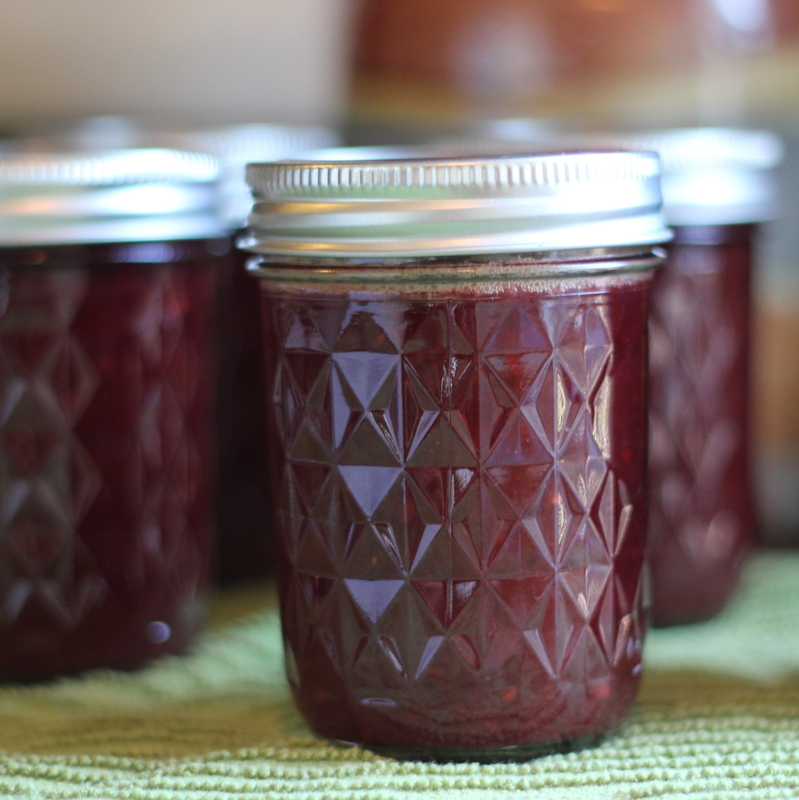 Bring quickly to soft-ball stage and skim any foam before pouring into sterilized canning jars. Let boil in hot water bath for 15 minutes. Check seals on lids before putting jars in storage. Ta daa! You have scrumdillyumptious homemade grape jelly and wine for the price of sugar and some easy pickin’.